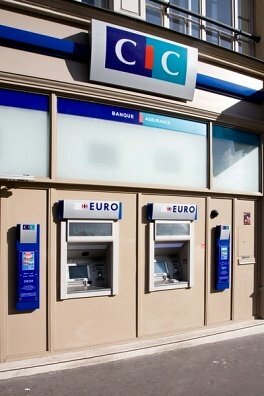 French police say four people have been taken hostage in CIC bank in the city of Toulouse by a man claiming to be linked to al-Qaeda. The man fired a shot and demanded to speak to the elite police unit which shot Islamist gunman Mohamed Merah. Mohamed Merah, who claimed to have al-Qaeda training, killed seven people in Toulouse in March before he was shot dead by police. The director of the bank, a branch of CIC, is said to be among the hostages. The regional newspaper Ouest-France says the area around the bank has been sealed off by the security forces. “We do not know if his claim about al-Qaeda is serious or a fantasy,” a police union source told Ouest-France. The bank is 100 metres (330 ft) from Mohamed Merah’s flat. Mohamed Merah, a Frenchman of Algerian descent, killed seven people in three separate attacks. His victims included three children and a teacher at a Jewish school, and three soldiers. He was shot dead by a police sniper on 22 March after commandos stormed his flat. In the wake of the shootings, the French authorities set up an investigation into whether Mohamed Merah had accomplices and into possible Islamist indoctrination practices in prisons.